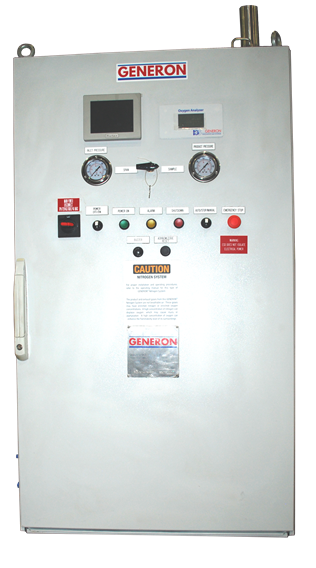 GENERON, a leader in the design and supply of Nitrogen Generators, has been task with the design and manufacture of one of its patented Membrane Nitrogen systems to be delivered for installation and use on a LNG and battery-powered fishing trawler, the first of its kind. The 94m purse seiner and fishing trawler LIBAS, is an eco-friendly fueled vessel, built in Cemre Shipyard, Turkey, and to be delivered and operated in Norway. The vessel is designed for utilizing the GENERON® Membrane Nitrogen Generator to supply 25 Nm3/hr of nitrogen at 95% purity, at 10 barg pressure. The completed system also includes: (2) air compressors and an air dryer, from our supply partner, TMC compressor. To see how GENERON can meet your nitrogen needs, contact our sales team at [email protected] or call us at +1.713.937.5200.